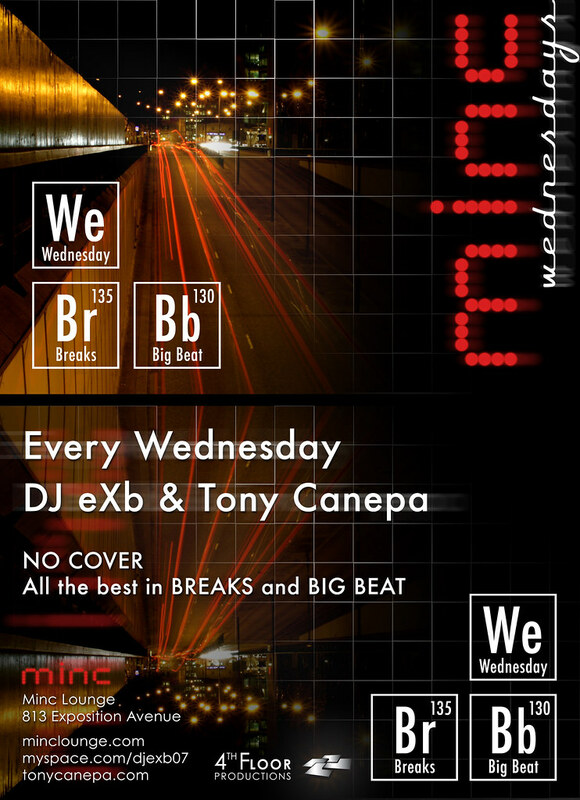 Once again , DJ eXb and I are spinning at Minc Lounge tonight! It's another of our weekly Big Beat & Breaks Wednesdays. Last week was great, and this week we have a special guest, DJ Michael J. who will be dropping some sick tunes for your listening pleasure. Come enjoy the amazing weather on Minc's killer Patio! 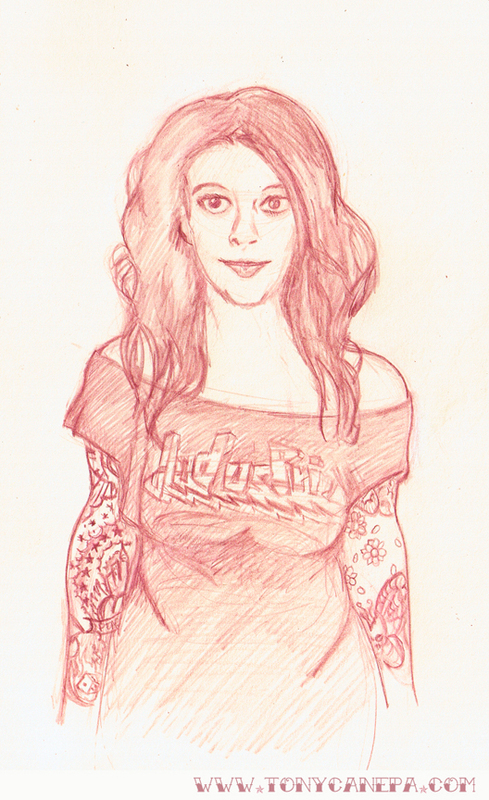 Sketched this from an image of designer Allison Burns. She certainly is quite a striking figure with her lovely dark hair and almost full sleeve tattoos. Starting this Wednesday, May 14th, DJ eXb and I will be spinning a weekly night of Breaks and Big Beat (think Fatboy Slim meets Adam Freeland) at Minc Lounge! Minc is by far the best club and lounge in Dallas. If you enjoy stiff drinks, friendly staff, tight sound systems, great atmosphere, and killer patios, Minc is the club for you! Come on out on Wednesday and I'll buy you a Sake Bomb!